GIA i-nourish is a highly concentrated whole food supplement, bursting with the amazing health benefits of Mother Nature’s most life-enhancing fruits, berries and vegetables. 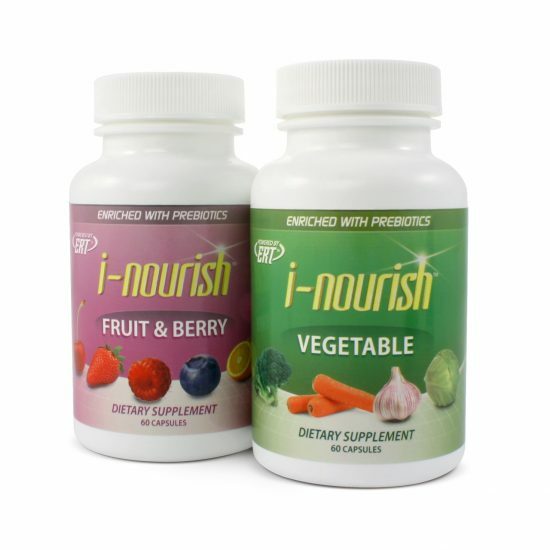 With the addition of a prebiotic, i-nourish also supports the body’s natural digestion and regularity. Want to save an additional 20-30% off the retail price? GIA i-nourish is a highly concentrated whole food supplement, bursting with the amazing health benefits of Mother Nature’s most life-enhancing fruits, berries and vegetables. With the addition of FOS (fructo-oligosaccharides), an effective prebiotic, i-nourish is also designed to support the body’s natural digestion and regularity. Scientific research has shown that food actives and a healthy digestive system are keys to unlocking superior health, energy and longevity. Fructooligosaccharides (FOS) serve as a substrate for microflora in the large intestine, increasing the overall gastrointestinal tract (GI Tract) health. It has also been touted as a supplement for preventing yeast infections. Several studies have found that FOS and inulin promote calcium absorption in both the animal and human gut. The intestinal microflora in the lower gut can ferment FOS, which results in a reduced pH. Calcium is more soluble in acid, and, therefore, more of it comes out of food and is available to move from the gut into the bloodstream. FOS can be considered a small dietary fibre with (like all types of fibre) low caloric value. The fermentation of FOS results in the production of gases and acids. The latter provide some energy to the body. Blueberries are known as a true “super food.” In vitro research has revealed that these dark-blue berries effectively counteract mechanisms that lead to inflammation, etc. Cranberries contain many antioxidants, which have been linked to a variety anti-aging and heart-health benefits. They have also shown to have anti-bacterial properties in the urinary tract. Pineapples contain Vitamin C and Bromelain contents, which may help normalize inflammation. Manganese in pineapples has also shown to support normal brain and nerve function. Plums are a good source of vitamin C, B1, B2, B6, and fibre. Current research from San Francisco VA Medical Center shows that plums may assist in slowing aging-related bone loss. Oranges, known for its vitamin C, help disarm free radicals which in turn can help normalize inflammatory conditions. Nutrients in oranges have been shown to support healthy blood flow. Research indicates that Bilberry, known for its anthocyanosides, may support blood vessel strength, normal circulation, and healthy cholesterol levels. Bilberry may also support eye health. The antioxidant nutrients found in papaya have shown to help normalize inflammation, support cardiovascular health and a healthy immune system. Raspberries, having unique antioxidant properties, help neutralize free radicals. Raspberries have also shown to play a role in weight management. Cherries, known for anthocyanins and melatonin, have shown to assist in normalizing inflammation linked to heart issues. Researchers also report that they help regulate sleep and counteract free radicals. Grapes, known for their antioxidants and flavonoids, may help fight free radicals, plus support a healthy heart and blood sugar levels. Resveratrol in grapes has shown to be an anti-aging agent. Strawberries contain various antioxidants, and flavonoids which support heart health. Studies also show they beneficially support skin and hair. The antioxidants, vitamins, and fibres found in Blackberries may help combat oxidative stress and cardiovascular issues, according to several University studies. Apricots, known for containing beta-carotene and fibre, have shown to support heart health, as well as counteract free radical damage and support a healthy digestion. The vitamins A in apricots also promote vision health. According to research, Parsley contains volatile oils and flavonoids that help neutralize certain types of potentially carcinogenic substances and oxygen-based damage to cells. Kale contains antioxidant and anti-inflammatory nutrients, immune-system supporting nutrients (glucosinolates), and macronutrients. Kale also contains over 45 flavonoids. Spinach is an excellent source of bone-healthy vitamin K and calcium, heart-healthy folate, energy-producing iron and vitamin B2, and free-radical-scavenging vitamins A and C.
Brussels sprouts provide special nutrient support for the body’s natural detox, antioxidant, and anti-inflammatory systems, and contains many immune system supporting phytonutrients. Broccoli is high in vitamins C, K, and A, which helps support a healthy immune system, has inflammation-normalizing properties, and helps scavenge free radicals. Cauliflower provides nutrient support for the body’s natural detox, antioxidant, and anti-inflammatory systems. The fibre contained in Cauliflower is outstanding support for the digestive system. Asparagus is high in vitamins C, K, and A, which helps support a healthy immune system, has anti-inflammatory properties, and helps scavenge free radicals. Beets contain heart-health supporting folate and potassium, bone-health supporting magnesium, and energy producing iron and phosphorus. Beets are also an excellent source of antioxidants. Carrot is high in vitamins C, K, and A, which helps support a healthy immune system, has anti-inflammatory properties, and helps scavenge free radicals. Cabbage can help support healthy cholesterol levels and is rich with antioxidants, inflammation fighting nutrients, and glucosinolates, which support a healthy immune system. Garlic provides unique sulfur compounds, which function as powerful antioxidants, and provide inflammation resistance benefits. Garlic is a great source of manganese, and vitamins B6 and C.
i-Nourish Vegetable Capsules: For adults, take two (2) capsules with an evening meal and a full glass of water. For optimal benefit, take with GIA i-H20. Store in a cool, dry place. Keep out of the reach of children. I understand the importance of consuming fruits, berries and vegetables for overall longevity. It’s a great surprise how my hair and nails have grown and become SO much stronger. 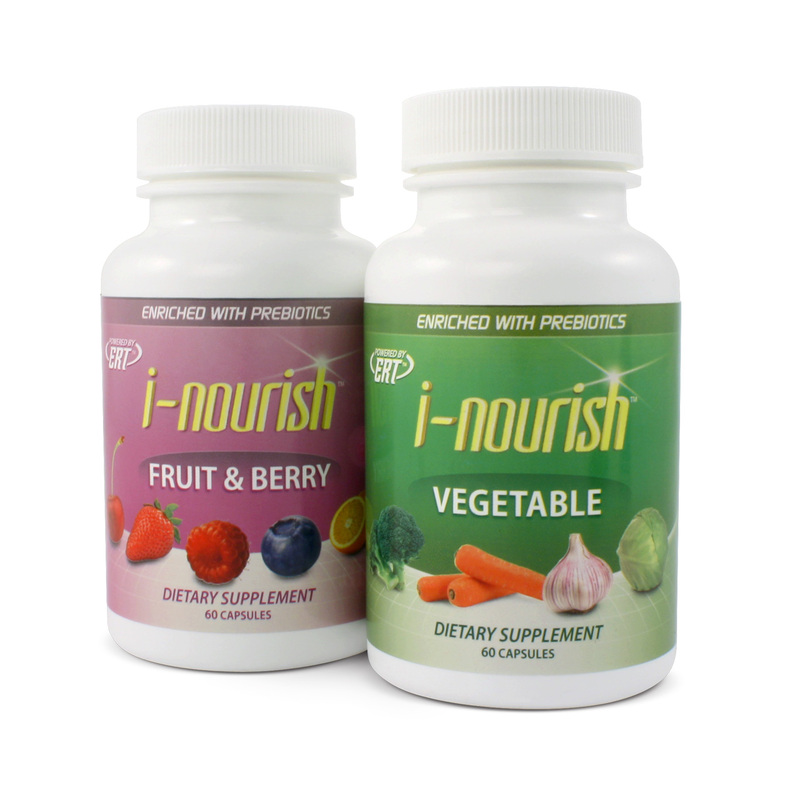 I love that i-nourish also helps balance my digestion with the FOS – this is just a great product! Add this product to your GIA Auto-Ship and SAVE an additional 10% each month (on Products and Shipping)! GIA’s Automatic Reorder (ARO) Program is a convenient auto-ship system takes the guesswork out of ordering your favorite GIA products by automatically shipping them to you every month! 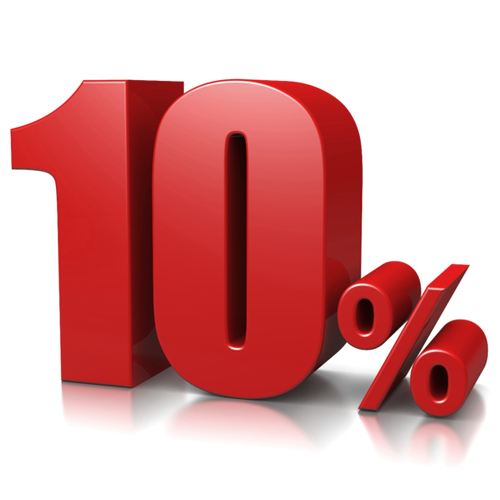 Save an additional 10% on every product you add to your ARO Order! Save an additional 10% on shipping – on every ARO order, every month! If you decide to also become a GIA Consultant/Distributor, enjoy earning an additional 10% Bonus on any ARO order ‘front-,level’ to you! Change your monthly ARO product mix at any time, as many times as you like! Never run out of your favorite GIA Products again! Did you know you could save up to 30% off each time you order GIA Wellness Products? Join GIA Wellness today and you can save up to 30% off each order.